“A journey of a thousand miles begins with a single step.” This wise phrase from Chinese philosopher Lao Tzu sums up Monograms’ philosophy. But we believe the first step should be easy and a no-brainer. That’s why we handle all your vacation details for you. We make it where your “journey of a thousand miles” only requires you to take the first step—to contact us! On this 13-day vacation, we’ve arranged your hotel reservations, daily breakfast (plus five lunches), private guided sightseeing, and transfers from/to your hotels to/from the airports for all intra-vacation flights. To make your journey as comfortable and easy as possible, we also offer the services of a Local Host®—someone who will answer questions, offer suggestions, and help ensure your vacation runs smoothly in every city: Beijing, Chengdu, Xi’an, Guilin, and Shanghai. Your Local Host will welcome you with a smile when you arrive, and will help you get settled and familiar with each city and to help you personalize your vacation. Your vacation begins the moment you arrive in Beijing, as we can pick you up at the airport and take you to your selected hotel. 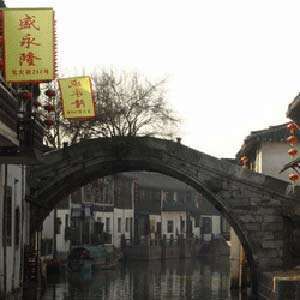 While in Beijing, we have arranged for you to have two private sightseeing tours with local experts. We’ll take you to the Great Wall, a must-see when you are in China. You’ll have the opportunity to walk along the wall and see amazing views, as well as capture some fantastic photos. 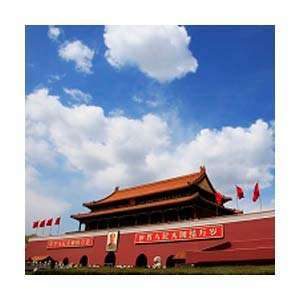 The next day, visit Tian’anmen Square, the largest public square in the world, and the Forbidden City’s Imperial Palace, once the home of China’s great emperors. 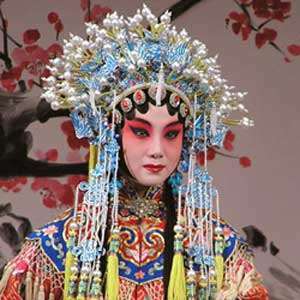 Your guide will share inside stories and the history of these attractions, not to mention what life is like in Beijing. From Beijing, fly to Chengdu. A full-day private guided excursion brings you to see the Leshan Giant Buddha, the world’s tallest stone Buddha at 233 feet. View the Buddha from a cruise on the river and from several vantage points on land. You’ll also visit the Giant Panda Research Base for a chance to see these beautiful animals up close! Next, fly to Xi’an in central China. Here, your private guided tour includes a visit to the Dayan Pagoda, built in 652 AD. Of course, you cannot come to Xi’an—or even China, for that matter—without seeing the Terracotta Warriors, an archaeological treasure trove. Then, you’re off to the most scenic part of your vacation. In Guilin, one of China’s most beautiful areas, we’ve arranged for private guided sightseeing of its highlights. The highpoint will undoubtedly be a cruise on the tranquil Li River, where you will leave modern civilization behind as you pass by rice paddies, fishermen on bamboo rafts, and water buffalo grazing in the river. 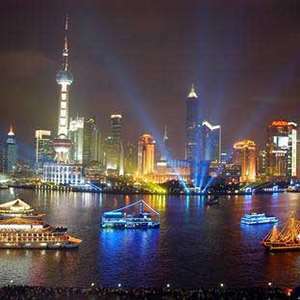 Finally, fly to Shanghai, where your Local Host will be waiting for you. 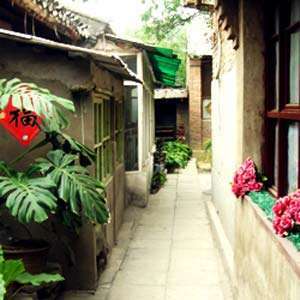 We’ve arranged two half-day private guided tours with a local expert, including the Yu Yuan Gardens, classical Chinese gardens dating back to the Ming Dynasty and a walking tour of the former French Concession, where remnants of a bygone era remain and feature the famous Art Deco Cathay Theatre. We’ve also included a traditional xiaolongbao (soup dumpling) feast and free time in Shanghai for you to explore on your own (with the support of your Local Host, of course). We know that sometimes experiencing the culture hands-on is the best way to learn. That’s why we’ve included a noodle-making demonstration in Xi’an, as well as a visit to a local tea farm in Guilin for a hands-on demonstration of the tea-making process, followed by a tea ceremony. And that’s not all. Monograms has arranged VIP access for your inside visits. That means that rather than standing in long lines, we give you VIP access at the key sights. You’re traveling all the way to China, so why waste your time standing in line when you can be enjoying yourself? Between the sightseeing we’ve arranged, the transportation and meals we’ve included, the hotels we’ve booked, and the attractions we’ve included, all you have to do is take that first step and call us—and then enjoy yourself on vacation! We’ve taken care of the other "thousand miles." With the time saved and the comfort of knowing you will have a Local Host with you throughout your vacation, you’ve got yourself a vacation that even Lao Tzu could not resist! This vacation package to China includes a visit to the Giant Panda Research Base in Chengdu to see these gentle creatures up close. 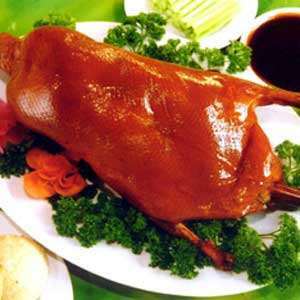 Today, fly to Chengdu, capital of the Sichuan province and known for its flavorful food. A full-day PRIVATE GUIDED EXCURSION brings you to the LESHAN GIANT BUDDHA, the world’s tallest stone Buddha at 233 feet. Leshan Town is located at the confluence of three rivers, and during the Tang Dynasty, boat accidents were a common occurrence. Out of growing concern for the people, a local monk decided to build a monument above the treacherous waters in hopes of making peace with the water spirit. Work on this magnificent UNESCO World Heritage Site started in 713 AD and took 90 years to complete. 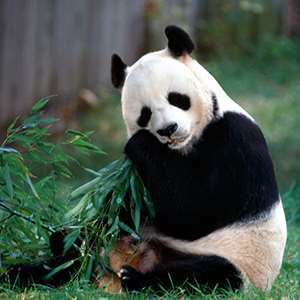 Join your PRIVATE GUIDED TOUR to the GIANT PANDA RESEARCH BASE and marvel at these beautiful animals. 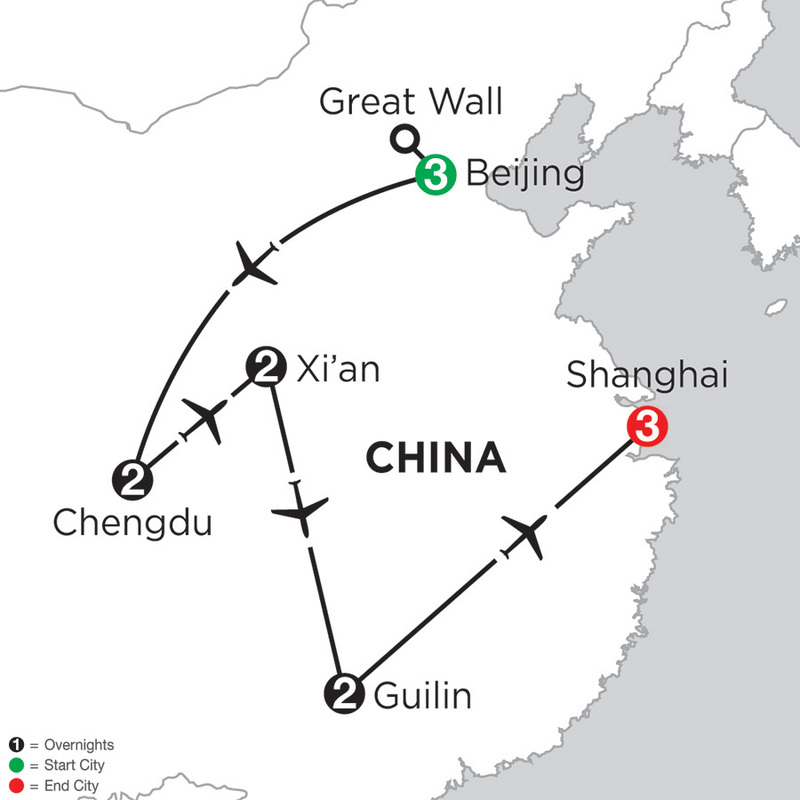 Later, fly to Xi’an, an archaeological treasure trove in central China. 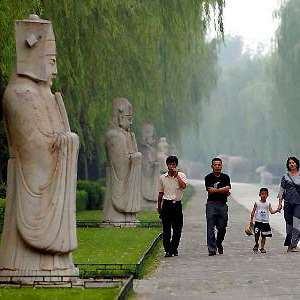 Rare discoveries await on your PRIVATE GUIDED TOUR of Xi’an. Start with a visit to the DAYAN PAGODA, built in 652 AD. Afterward, visit the enormous tomb of China’s first emperor, Qin Shi Huangdi, accidentally discovered by local farmers in 1974. Marvel at the legion of TERRACOTTA WARRIORS that has been guarding the burial site for 2,000 years. During lunch, enjoy a NOODLE-MAKING DEMONSTRATION by a master chef and learn how Chinese noodles are made by hand. Last stop is Xi’an’s ancient CITY WALL. The remainder of the day is at your leisure. Meet your Local Guide for PRIVATE GUIDED SIGHTSEEING of Guilin’s highlights. Begin with a CRUISE on the tranquil Li River and be transported far from modern civilization. Mystical mountains surround you as you pass rice paddies, fishermen on bamboo rafts, and water buffalo grazing in the river. Afterward, visit a local TEA FARM for a hands-on demonstration of the tea-making process, followed by a tea ceremony. Return to Guilin, where the rest of the afternoon and evening are at your leisure. The Tianfu Sunshine Hotel boasts amenities for the savvy traveler. After a great day of sightseeing take a dip in the pool, workout at the gym, or dine at the Sinya restaurant, which boasts a selection of delectable Sichuan and Cantonese specialties. Located in the heart of Chengdu, adjacent to a park and close to shopping. Rooms feature air-conditioning, mini-bar, coffee and tea maker, TV, and internet access. The Guilin Bravo Hotel is just a short walk from central Guilin. After a great day of sightseeing, relax in the pool, steam room and sauna or make an appointment for a massage. Enjoy a wide variety of local dishes at Lijang Qixing Restaurant or a selection of continental and Asian dishes at the Patio Cafe. Situated in the heart of Guilin, Guilin Bravo Hotel is close to Shan Hu, Elephant Trunk Hill, and Seven-Star Park. The 329 spacious, air-conditioned guestrooms at the Guilin Bravo Hotel offer incredible views with their floor-to-ceiling windows. With optional evening turn down service and a pillow menu, you'll be set for a great night's sleep. Rooms are equipped with free Wi-Fi, tea/coffee makers and complimentary bottled water. Situated in Chengdu, Shangri-la Hotel Chengdu is close to Sichuan University, Chengdu United States Consulate, and Tianfu Square. 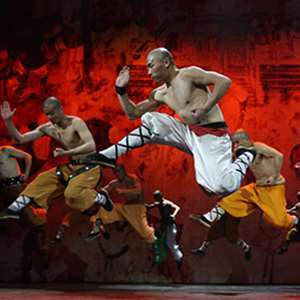 Also nearby are Sichuan Museum of Science and Technology and Chengdu City Sports Center. The 593 air-conditioned guestrooms offer spacious comfort with contemporary decor and include complimentary WiFi and wired high-speed Internet access. Bathrooms offer separate bathtubs and showers with handheld showerheads, and rainfall showerheads. Bathrooms also include bathrobes, bidets, and makeup/shaving mirrors. Perched on Chengdu's remarkable Financial Street and next to a metro station, Holiday Inn Chengdu Oriental Plaza offers easy access to the city's famous sites. The hotel is located in the busy financial district, with restaurants, bars, and shopping accessible by foot or taxi. Rooms feature contemporary design, modern amenities, and exclusively equipped double-glazed windows to ensure a peaceful night's sleep in a bustling city. Guilin's newest international luxury hotel sets a new standard for luxury and service, placing it among the best hotels in this remarkable city. Located on the banks of the picturesque Li River just a 10 minute drive from Die Cai Mountain, as well as the city center and the famous pedestrianized tourist street. Overlooking the picturesque Li River and with easy access to the city center and pedestrian shopping area. The spacious and elegant guestrooms feature separate bath and shower and complimentary Wi-Fi access. The Sheraton Guilin Hotel, ideally located along the Li River in the heart of the enchanting city of Guilin. With the completion of a full renovation in 2002, the hotel is as beautiful as the landscape it calls home. Their guest rooms, restaurant, and lobby have all been reimagined with your comfort in mind. Located on the banks of the Li River in the center of Guilin and adjacent to the Zhengyang Pedestrian Street with many shops and restaurants. Rooms feature the Sheraton Sweet Sleeper Bed, separate bath and shower, and complimentary Wi-Fi access. Monograms provides travelers access to a Local Host®, so you will have someone on hand to answer those vacation questions pertaining to Guilin. No waiting in line at the concierge desk or trying to ask your waitress at breakfast directions to the shopping district. Simply ask your Local Host® about Guilin and you'll be on your way in no time. Plus, your Local Host® will share local Guilin insights and share suggestions for getting off the beaten path, leaving you more time to create lasting vacation memories that are yours alone. 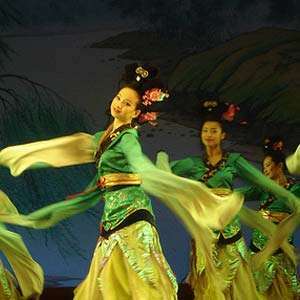 I have been working in the tourism industry for 16 years since I graduated from Guangxi Normal University. I have my bachelor degree in English. The reason for me to choose my career in the tourism industry is because I love to meet new people and to share all different cultures from all around the world. It always makes each day of mine happy to see the happy faces on my guests. Situated on the eastern side of the Li River and named for its seven peaks which resemble the Big Dipper constellation, this is the largest park in Guilin. Take some time to walk through this tranquil space with its crystal water, caves and beautiful rock formations. Located steps from the Sheraton Guilin, this pedestrian street is a great place to mix with the locals. Here you will find a wide range of restaurants, tea houses, and shops. The area really comes alive at night so it makes a great place to enjoy dinner.